The Øresund Region could very well become a hotspot for the global LGBT community in 2021, attracting hundreds of thousands of people. That’s because Copenhagen and Malmö have applied to co-host two of the biggest events within the LGBT community: WorldPride and EuroGames. “The right to love or know whoever you want to is a right that Sweden and Denmark were early to protect,” Nils Karlsson, a local politician for Miljöpartiet de Gröna in Malmö, told News Øresund. 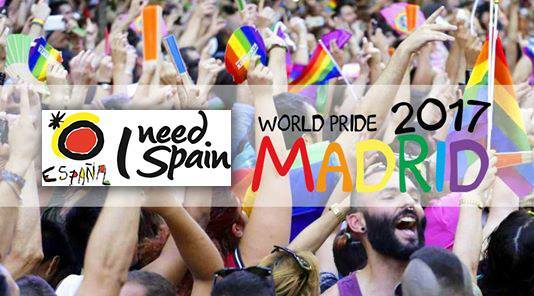 WorldPride is the world’s largest LGBT festival and is expected to attract hundreds of thousands of visitors. This year, Madrid is hosting the event, while previous hosting cities have included London, Rome, Toronto and Jerusalem. New York is set to host the event in 2019. Copenhagen has submitted an application that Malmö has contributed 800,000 kroner to, but the Swedish city’s exact role in the event can only be illuminated if Copenhagen is granted the event. The two cities are also hoping to make 2021 a year to remember by looking into hosting the EuroGames that year as well. Held last year in Helsinki, the EuroGames is a European multi-sport event governed by the European Gay & Lesbian Sport Federation (EGLSF). It is the largest multi-sport event for athletes, regardless of their gender identity or sexual orientation in Europe. It was last held in Copenhagen back in 2003.